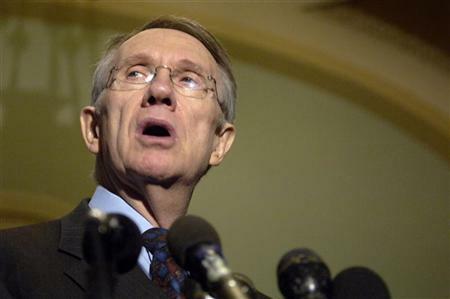 The gall of Harry Reid knows no bounds. He torpedoed the Defense Bill by attaching an amendment that repeals the 'Don't ask, Don't tell' policy. Then, he accused Republicans of playing partisan politics with the resources out troops need. How can anyone vote for this fraud of a leader? “Republicans are again playing politics with our national security. Today they blocked the Senate from debating a bill that would give our troops the resources they need to keep America safe – stopping not only funding for combat vehicles and bulletproof vests or measures to improve our military’s readiness, but even a well-earned pay raise to help our troops and their families make ends meet. Reid is pathetic and needs to be voted out of office. I can't believe anyone in Nevada still supports him.